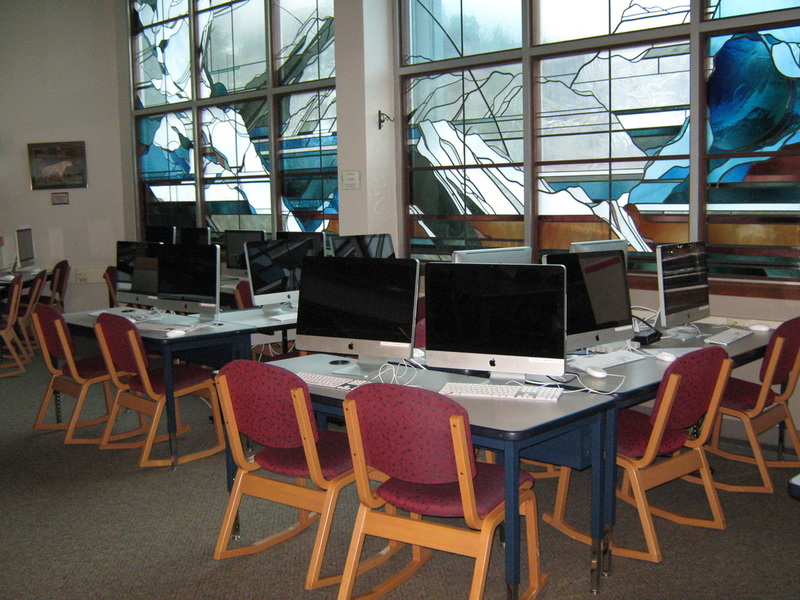 We have 30 iMacs available in the Library Lab which are connected to the internet and to the Library xerox for printing through the Juneau School District network. Teachers reserve the Library Lab for their classes on the Library schedule. If no classes are scheduled, students in the library on a pass or a free period are welcome to log in and use the iMac computers for school work. To avoid accidents, all food and drinks must be kept away from our computers.